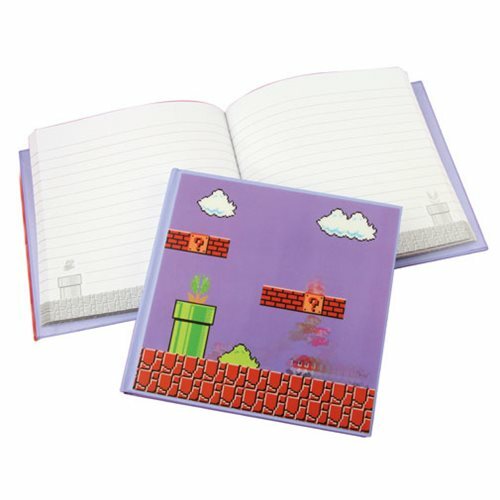 Keep notes in three dimensions with your Super Mario Bros. 3D Motion Notebook featuring a Super Mario Bros. graphic on the cover and plenty of pages for your magnificent chicken scratch. Measures approximately 6 1/2-inches by 6 1/2-inches. Ages 13 and up. Power Up Your Home with These Super Mario Bros. Homewares!